Next Discovery Days program at Sitka Sound Science Center to be about fossils | Get Out, Sitka! The Sitka Sound Science Center recently introduced Discovery Days, a free program for annual pass holders that takes place from 10 a.m. to noon on various Saturdays. 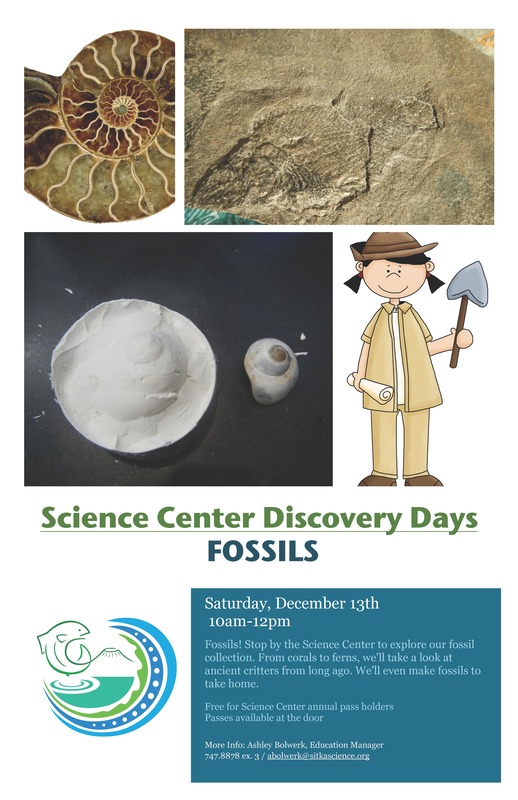 The next Discovery Days event on Saturday, Dec. 13, when the theme for the day is fossils. “ We’ll explore the fossil collection, learning about ancient critters from corals to ferns. You also can try your hand at making your very own cast fossils,” Sitka Sound Science Center Education Manager Ashley Bolwerk said. Swing on by the Sitka Sound Science Center, 834 Lincoln St., with the whole family for a variety of examples to explore and hands-on activities. It’s sure to be great time. This is a family event and open to learners of all ages. The Discovery Days program launched in November 2013 and previous programs have been about kitchen chemistry, electricity, fossils, birds, ice, animal tracks, plants, herring, plankton, amphibians, and hearts, and there was an overnight aquarium sleepover for kids and parents. The group also hosted a booth at Family Science Day at Keet Gooshi Heen Elementary School. Annual passes are available at the door, $50 for families and $30 for individuals. Passes are available on Saturday. Keep your eyes open for upcoming Discovery Days activities. In addition, don’t forget the Sitka Sound Science Center recently launched a free new program called, “Sitka Sprouts: Planting the Seeds of Science in the Next Generation,” for kids ages 3-5. 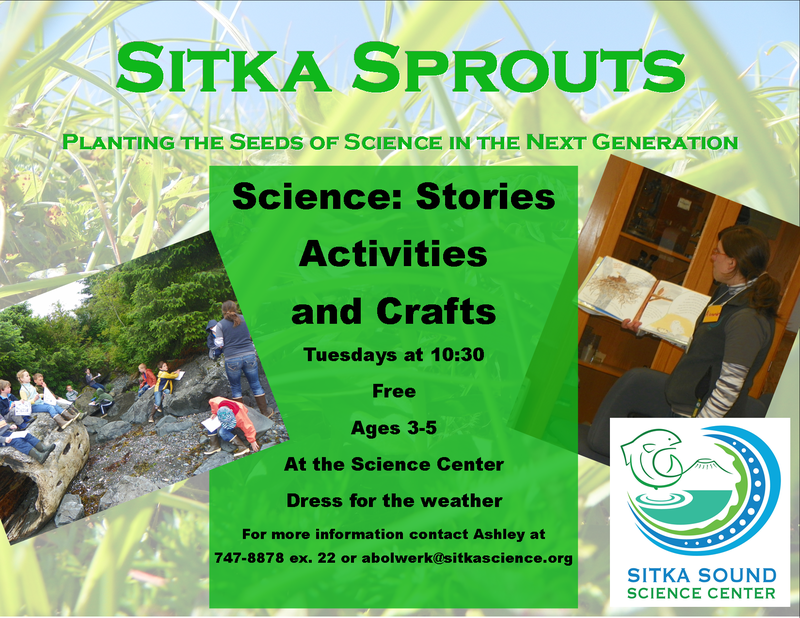 Sitka Sprouts takes place at 10:30 a.m. on Tuesdays at the Sitka Sound Science Center. 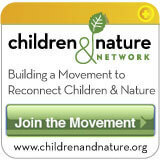 The program features stories, activities and crafts, and the kids are encouraged to dress for the weather. For more information, contact education manager Ashley Bolwerk or 747-8878, ext. 22 or abolwerk@sitkascience.org. This entry was posted in Kids and nature, Outdoor events, Outdoor programs and tagged Alaska, Alaska Raptor Center, amphibians, animal tracks, Ashley Bolwerk, birds, discovery and exploration, Discovery Days, education, encouragement, Family Science Day, fossils, Get Out Sitka!, Harrigan Centennial Hall, hearts, herring, ice, Keet Gooshi Heen Elementary School, kitchen chemistry, overnight aquarium sleepover, Parade of the Species, plankton, plant kingdom, plants, Scientists In Residency Fellowships (SIRF), Sitka Conservation Society, Sitka High School National Honor Society, Sitka Sound Science Center, Sitka Sprouts, Sitka Tribe of Alaska, Sitka!, structures, tracks, U.S. Forest Service. Bookmark the permalink.